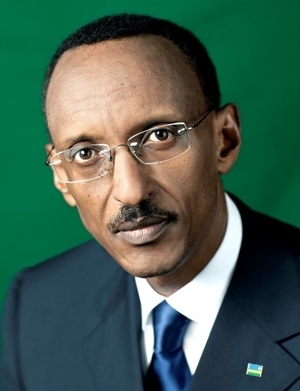 Paul Kagame, via Rwandan Office of the President website. For the last several weeks, M23, a new rebel group made up of former soldiers from the Congolese army, has engaged in battles with army forces in eastern Democratic Republic of the Congo (DRC), forcing more than 250,000 people to flee their homes. Although Rwanda denies it, there is compelling evidence that M23 is receiving support from the Rwandan army (see this BBC story detailing a leaked report from a United Nations expert panel). Rwanda supporting Congolese rebels (while subsequently denying it) is something that happens every few years. While common, this support often has devastating consequences. In 1996-1997, Rwanda (along with Uganda and Angola) backed Laurent Kabila as he overthrew kleptocrat-in-chief Mobutu Sese Seko, who had presided over the Congo’s near complete collapse during his more than thirty years in power. In 1998, Rwandan and Ugandan backed rebels launched a rebellion aimed at overthrowing Kabila, but this time Angola (along with Zimbabwe and Namibia) came to Kabila’s aid, leading to what is often called “Africa’s First World War.” In 2005-2007, Rwanda supported (although later turned against) Laurent Nkunda as he sowed terror through eastern DRC. The M23 rebellion is in its early stages, but it’s a good bet that it will involve substantial human rights abuses against the people living in the area around the conflict. US Secretary of State Hillary Clinton has asked Rwanda and other states to stop supporting M23. Despite this international condemnation, how far the international community is willing to go to pressure Rwanda remains unclear. For years Rwanda has been viewed very favorably by the US, other powerful states and international aid agencies, in spite of the government’s authoritarian tendencies (there are elections, but political opposition is essentially not allowed) and accusations that the Rwandan army and its allies are committing substantial human rights abuses in eastern DRC. Why is Rwanda viewed so favorably? One reason is that the Rwandan government has demonstrated itself committed to economic development and stability, and opposed to corruption. It is hard to overstate how devastated Rwanda was in July 1994, after the famous genocide that resulted in at least 500,000 deaths. A country with a population of about 9 million had at least 2 million refugees, millions more internally displaced persons, and its roads, schools, and courts had been destroyed in the genocide and civil war. In the eighteen years since the genocide, however, Rwanda’s economy has grown rapidly. This growth has lifted over a million people out of poverty, expanded access to electricity and education, and led to decreases in infant mortality and general improvements in health. A second reason is that Rwanda does have legitimate security concerns in eastern DRC. Rwandan rebels use ungoverned areas along the border as refuge, including individuals who participated in the Rwandan genocide. These groups, when possible, launch attacks designed to de-stabilize Rwanda and commit violence against Congolese of Rwandan descent living in the area. A third reason is that international actors continue to feel guilty (and rightly so) for failing to try to stop the 1994 genocide. 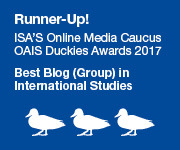 There is a legitimate academic debate about whether quick and decisive international action could have stopped the genocide in its early weeks, as many people argue. What is clear, however, is that the international community reacted to the outbreak of genocide by withdrawing, rather than intervening. International actors are hesitant to criticize Rwanda’s government at least in part because of guilt over their inaction in 1994. All of these are legitimate issues, but the potential for widespread conflict in eastern DRC again is one that the international community must pay attention to. Frantz Fanon famously said, “Africa is shaped like a gun, and Congo is the trigger. If that explosive trigger bursts, it’s the whole Africa that will explode.” In 1996-2003, that trigger did burst, with devastating consequences for the DRC and many of its neighbors. Guilt about failing to prevent one tragedy cannot be used to justify allowing another one. And Rwandans should show some consideration for people dying on their borders. In this article you fail to comment on the multiple and severe human rights abuses committed by the current regime within the country, on Tutsis and Hutus alike. Political prisoners and murders when intimidation and black mail doesn’t work. The current power is out of touch with the reality of a country like Rwanda. ICT,is not what people need. Forcing the farmers to practice monoculture ( only grow coffee for example) when the land is tiny IS NOT in touch with the reality of the country and the needs of the farmers. And a few modern farming machine bought with foreign aid will not change that reality.. the land is small. The current regime is OUT OF TOUCH with the reality of rwandan people and their vision is not one that will bring a long lasting balance and the fact that you can’t tell them nothing is even more disturbing. They have ruined Rwanda’s historic friendship with Congolese people within 18 years. And before that they sacrificed their own people just to take power. The narrative of good savior is a big lie and this is a knows facts within hutus and tutsis alike. Ask DEO MUSHAYIDI, genocide survivor, tutsi. who is now incarcerated in a Rwandan jail for life for trying to bring about that dialogue. They are stuck on stupid on painting a reality that is not what Rwanda really is and this is why in only 18 years they have managed to reduce Rwanda to the laughing stock of the international community once more. It is obvious we are devious. These people attacked in 1990 and distracted a fragile balance that had taken a long time to be established. And at the time, Hutus and Tutsis lived together in peace. There was no issue. Today nobody knows who is Rwandan and who is Ugandan or god knows what else. The world needs to always remember that in 1990 Rwanda was ATTACKED.. the genocide and the war and the trouble started because the current regime, then rebels attacked and used of all sneaky tactics to destabilize Rwanda. They weren’t happy with Arusha peace treaty allowing them to come back in the country and be part of the political space. They preferred to break everything and everyone and start over. And now they are still at war. We believe FDLR is not a threat at all. Rwanda is in a war of greed unleashed by the evil axe they form with Uganda, same thing they’ve always done. They didn’t care about Rwandans hutu / tutsi dying. They still don’t care about Congolese dying. 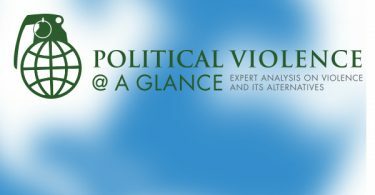 There are OUT OF TOUCH with the reality of a peaceful Rwanda, and the world needs to monitor them closely. The author sounds like a good student who did his homework well, having read all the lies he was fed through mianstream media to reproduce this inacurate piece on Rwanda, Kagame and the Kongo. Kagame is a killer supported by the west. They pretend to care but they don’t, or else you won’t have the fancy laptops and smartphone you brag about. Kabila is a useless puppet under Kagame’s order and he will only do as told by Kigali. Have you ever wondered how a Ugandan secret service agent (Kagame) ended up being president of Rwanda (Check your history)? How the current army chief in Rwanda held the same position in DRC in 1997 when Kabila came in with his tutsi soldiers (Check your history again)? Now they claim they are not meddling into Kongolese affairs. There has never been such a thing as ‘tutsi congolese’ or ‘rwandophone congolese’ (check your history again), these are words manufactured by mainstream media just like ‘the people of Lybia’. Western support makes Kagame strong. But the will of the people of Kongo (Lumumba’s children) will overcome ANYTHING. There is no innacurasies here. All the achievements of the Kagame government arew everywhere to see in Rwanda. There’s no need even for President Kagame to try and sell Rwanda because progress is everywhere to see.